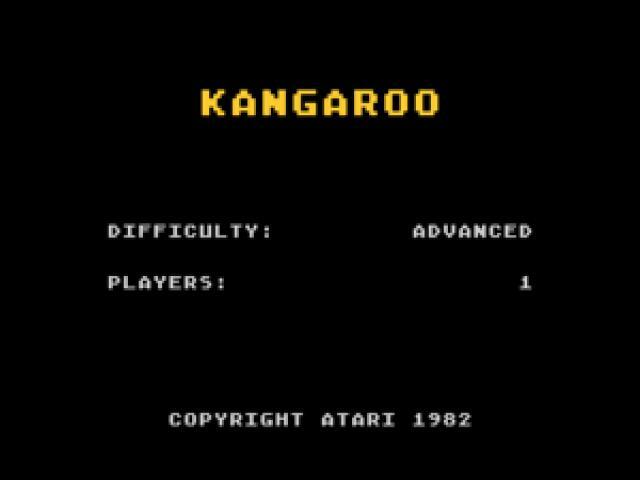 Kangaroo is an arcade experience in the same vein as Donkey Kong, only that, instead of Mario looking to rescue Peaches from the evil Kong, this time you drive a kangaroo mum up the ladders filled with danger, to rescue, presumably, her little baby kangaroo. 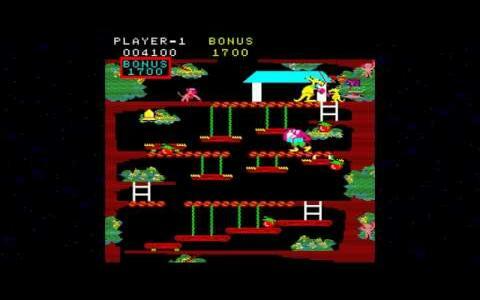 The game goes as far as to paint the level mostly in red, the same color of Kong, but the inner layouts are a bit more different, to represent the kiwi state of mind that this game is pushing forward. Graphics wise, again, the game looks no better nor worse than Kong, though, I would say, while Mario's game was a bit neater, this one is more disorganizes, a bit more on the wild side when it comes to the traps, the pieces that can be escalated and so on. 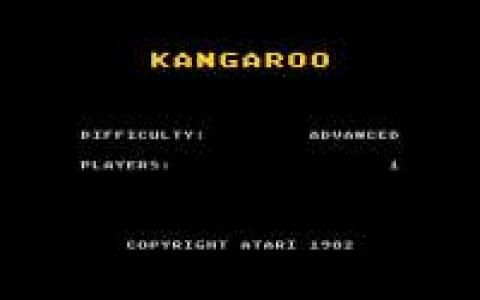 Nonetheless, it still is a thoroughly playable experience, so if you love that kind of platformer, which gets increasingly difficult while tasking you with the same kind of puzzles, Kangaroo can be an optimum retro choice. Else, you might want to try Alleycat for something in same vein but with a different theme.